QATALUM will resort to debottlenecking rather than go in for a major expansion in the foreseeable future, its chief executive Tom Petter Johansen has said. 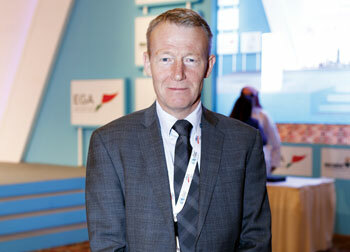 Johansen, who attended the Arabal conference in Bahrain, said he did not expect to see major changes on the price front. “About the price increase we have seen, we cannot be sure it is sustainable. The big inventories are still there.” He estimated the inventory globally was around 12 million tonnes. 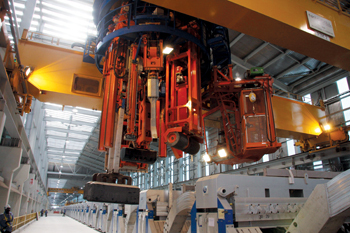 The company, a joint venture between Qatar Petroleum and Hydro Aluminium of Norway, achieved full production in 2011 with an installed production capacity of 585,000 tonnes and had since enlarged that level to 614,000 tonnes through debottlenecking, which he said could continue in the next three to five years. Sixty per cent of Qatalum’s production goes into the building and construction industry, capital goods and various other applications while 40 per cent serves the automobile segment. A small portion of the output has been utilised by Qatar’s downstream industries, approximately 10,000 tonnes out of the total annual production with just two small extrusion firms operating. Additional capacity, including liquid metal, could be made available for the downstream but it would depend on the type of products the entrepreneurs had in mind and also whether the supply would be commercially attractive to Qatalum and the parties concerned. Asia is Qatalum’s largest market. Hydro has responsibility for sales and marketing and oversees large volumes which give it the flexibility to ship product to markets that need it most at any time. “We’re currently focusing on maintaining world-class performance in all parts of our business operations and there are always opportunities to improve. We have a cost-cutting programme and we have been able to improve quite a bit and we’ll continue improving,” he said. The programme, which began in 2013, aims to slash costs by $150 per tonne by 2013.